Facebook now allows you to add an image to your wall posts! 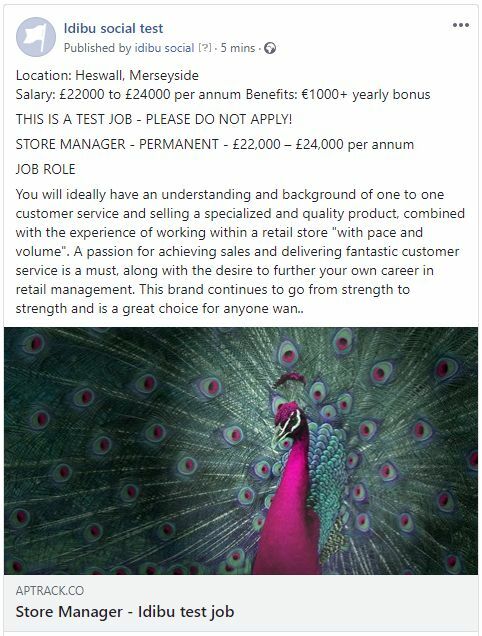 So, that means if you want to jazz up your job posting with some neat custom images on each posting, it's as simple as adding the URL of where your image is hosted online. 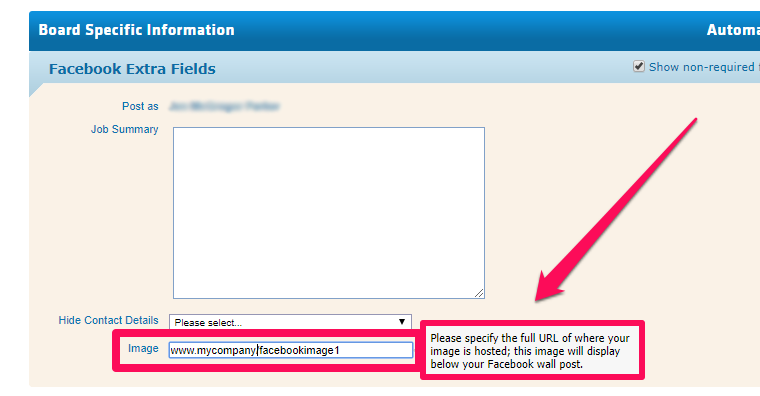 * Be sure to tick 'non-required' fields to show these options: That's it, you're ready to post your image. You can also add a summary too if required, just use the dedicated field.! Important - Please be aware we don't 'send' an actual image file to Facebook. We just provide the URL of where your image lives online, and Facebook will link to that. If you post to Facebook regularly, then we suggest creating an 'image bank' somewhere. With that, you can simply add the URL of different images as and when you need them. This will obviously save you uploading a new image to your server for each post. Image dimensions - Facebook will re-scale whatever image you provide to the dimensions of 470 x 895 pixels. Please make sure your image is at least this size to avoid it being enlarged and losing quality.